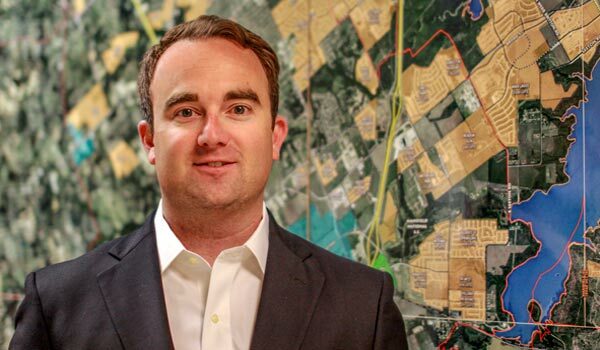 John is responsible for the marketing and the development of Hanover’s commercial land holdings while executing new acquisition and development opportunities. Prior to joining Hanover, John was Director of Real Estate for Kimco Realty Corporation after starting in the real estate business working for Lincoln Property Company’s retail division. His experience includes overseeing a portfolio of Kimco's retail centers totaling 1.4 million square feet, leasing Lincoln's retail centers and retail developments, and also providing third-party brokerage services for both property owners and end users. John is a graduate of the University of Texas at Austin where he earned a Bachelor of Science in Advertising. He is a member of the International Council of Shopping Centers and the Touchdown Club of Dallas benefiting the Rise School.